I was and am a devout anti-Communist. I rejoice that civilisation won the Cold War, detest the evil folly that was Marxism-Leninism-Stalinism-decrepitudism, and regret that the Russian Revolution was not strangled at birth. But (and you could hear that coming couldn’t you?) as far as I am concerned, Dimitri Shostakovich (1906-1975) was almost certainly a better composer after Stalin had given him his philistine going-over following the first performances of Lady Macbeth of Mtsensk, than he would have been if Stalin had left him alone. Although both are very fine, I prefer Symphony Number 5 (“A Soviet Artist’s Reply to Just Criticism”) to Symphony Number 4. Had Shostakovich continued unmolested along the musical path he was travelling before Stalin’s denunciation of him, I don’t think he would merely have become just another boring sub-Schoenbergian modernist. He was too interesting a composer for that already. But I do not think his subsequent music would have stirred the heart in the way his actual subsequent music actually does stir mine, and I do not think I am the only one who feels this way. Thanks to Stalin, if that is an excusable phrase, Shostakovich was forced to write what is now called ‘crossover’ music, that is, music which is just about entitled to remain in the classical racks in the shops, but which also gives the bourgeoisie, such as me, something to sing along to and get excited about. Shostakovich had always written film music as well as the serious stuff. What Stalin and his attack dogs did was force him to combine the two styles. He might well have ended up doing this anyway, but who can be sure? What Stalin also did for Shostakovich was to make his music matter more. Thanks to Stalin (that phrase again!) every note composed by Shostakovich became a matter of life and death – while it was being composed, and whenever you listen to it. Stalin turned Shostakovich into a kind of musical gladiator, a man who knew that every day might be his last. Not many composers get that kind of intense attention. One of my little hobbies is giving career counselling advice, and like many career counsellors, I often ask people: what would you do today if you knew that today was to be your last day on earth? The point being that the guy would live well. He would do the things that mattered to him most, that he most believed in, that he was meant to do, so to speak. In religious language (in which as an atheist I am not fluent), he would do what God had put him on this earth to do. Stalin created those circumstances for Shostakovich for real. How does an artist function if he lives permanently on Death Row? Most would have buckled, but Shostakovich functioned very well. He was a naturally nervous man. Indeed, someone should write a narrative song about the life of Shostakovich with the chorus “and Dimitri Shostakovich was a very nervous man” at the end of the each verse, the point being (a) that this was his nature, but that (b) the course of his life gave him a hell of a lot more to be even more nervous about. What Stalin did was to make sense of Shostakovich’s life, to pull it all together. Stalin gave external validation to Shostakovich’s own natural disposition. He made his life much less enjoyable, but he made it count for far more. None of which could possibly have happened if Shostakovich had actually been killed by Stalin, as Stalin killed so many others. Death Row is not Death Row if nobody actually does die. Enjoying the music of Shostakovich is the moral equivalent of making use of the research discoveries made by Nazi experimenters in concentration camps who studied how people died by killing them. All that intensity and consequent intense meaningfulness, if that’s what it was, was paid for with an ocean of the blood of other artists, of other human beings. Still, it is worth pointing out that some good did come of all the horror. The price was absolutely not worth paying, but given that it was paid, I am glad there is something to show for it. you might enjoy this usenet posting with some fairly long extracts from the (sadly out of print) autobiography of Rostislav Dubinksy, the original leader of the Borodin Quartet. He talks quite eloquently about playing stuff with & for Shostakovich, and what it was like in that poisonous atmosphere. He does look rather nervous in that picture, yes. I don’t think many would argue that oppression (or, more generally, adversity) can, some of the time, inspire miraculously beautiful art: and that such art is one by-product of destructive historical processes that we can actually cherish & make good use of. Some would add that the music Shostakovich composed under the final tyranny of his sickness & imminent death was his very finest – although I must say that I just find it bleakly depressing. Shostakovich is an interesting study. Those who study his works see elements of protest woven in the fabric, along with the ‘patriotism’ etc, showing a masterful slight of hand, and to have survived showed amazing fortitude. But I find it hard, even for all the qualifications in the original post, to praise the process even remotely. Admire the outcome, just like one might be impressed with the pyramids, but nothing justifies the whips needed to build it. ‘Good’ does come from Statism. It is a matter of what good and for whom, and who bears the costs that offset it. Nothing justifies a Statist approach. I would much rather do without the outputs provided if they are to be coerced and forced no matter what they are. I live under the assumption that something equally as good would have resulted somewhere along the line if the force and rechanneling had never taken place. As an example in response to the original post, if Shostakovichhad been left to his own devices, and floundered, someone else of equal or greater talent would have emerged. Hypothetical, yes, but it is the basis for my justification in attacking Statist ‘Good’; something else was cancelled out and was never to be known. Every time I listen to his works, be it his string quartets, his concertos, his symphonies (No 7 and No 13 are my favourite), or whatever, it allways sends shivers down my spine. Beautiful and terrifying, aggressive and melancholic at the same time. Mere words can not describe it. I heartily recommned his music. To download go to http://www.karadar.com and click on CoCoA. Have you heard that Shostakovich had began planning his Seventh well before the war (WW2 of course)? It was meant to be a requiem for the suffering victims of totalitarianism in Russia. The famous first movement of the symphony with the march theme thus could have more than the one obvious Nazi agression interpretation. It is in fact much more ambiguous. Anyway.. Thanks for your brilliant post. I’m not too sure what conclusion to draw from this, but I believe use has been made of the scientific results of Mengele’s experiments and so on. A friend of mine who studied biology was deeply shocked to see an attribution reference to some results in a textbook baldly stating, “Mengele 1944”. He said what shocked him most was not that Mengele’s figures should be used (though that did shock him somewhat) but that the attribution should be in the same format as any other. If there had been some acknowledgement of the different status of these results to those obtained without murder my friend would have found it less disturbing. Getting back to your post, I suppose it is such an acknowledgement. You might find this Solomon Volkov article from today’s ALdaily of interest. Of course, Volkov himself a controversial figure due to Testimony (the memoirs of Shostakovich as narrated to Volkov), which has been completely exposed as a fraud. Taruskin in a TNR article, explores Shostakovich’s doubleness at length. Most damning is the fact that is that Shostakovich himself knew how to exploit the communist system very well. Shostakovich’s holy human hatred of his oppressors was vehement and profound. It is hilariously expressed in his “Antiformalist Peepshow,” a cantata that ridiculed the Zhdanovshchina, which he wrote “for the drawer” (the composer’s version of the pocket), possibly in 1948, and revised around 1968. Glikman shared his friend’s love of parodies of this sort, and wrote a few himself (included in an appendix to the letters volume). But to jump from such expressions of disaffection to blunt anti-communism (or pro-Westernism), as so many reviewers of the Glikman letters have done, is a gross misstep. It amounts to equating a critic of, say, Joseph McCarthy with an enemy of America (or a friend of Russia)–that is to say, it amounts to adopting the viewpoint and the values of a Zhdanov or a McCarthy. And it casts the composer’s many civic acts and duties–not only as a Party member but also as a deputy to the Supreme Soviet who met regularly with his “constituents,” a Soviet representative to several international peace conferences, and the president of the Russian branch of the Union of Soviet Composers–not to mention his acceptance of as many official honors and medals as any Politburo member–as so much hypocrisy. It was by participating in the life of his society–the only society in which he had a chance to participate–rather than by holding himself above it in holy alienation that he achieved the unique public stature that so distinguished him both from the Party hacks at home and from his sadly marginalized Western counterparts. In a large, comprehensive, fabulously informative, but as yet untranslated publication of documents from its own collection called Dmitry Shostakovich in Letters and Documents, the Glinka Museum of Musical Art in Moscow has provided hair-raising evidence that Shostakovich could play the Soviet political game as well as anybody, and that he used his newly powerful position as Party member and Union president (and, possibly, accepted it) with an eye toward payback. At the first Union meeting at which he presided, in February, 1960, Shostakovich delivered a blistering attack on the repertoire of the Pyatnitsky Choir, the Soviet Union’s pre-eminent “fakelore” ensemble, and in particular on the work of its director, Marian Koval, a hack composer who had published during the Zhdanovshchina a slanderous trio of essays in Sovetskaya muzyka, the official organ of the all-Soviet Composers’ Union, collectively titled “Shostakovich’s Creative Path.” To V.V. 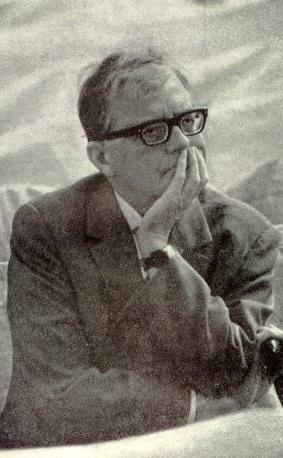 Khvatov, one of the choir’s staff arrangers, Shostakovich wrote in his official capacity that Khvatov’s arrangement of the folk dance “Kamarinskaya” “has nothing in common with the art of music,” repeating practically verbatim the humiliating words uttered by Vladimir Zakharov, Koval’s predecessor as the choir’s director, about Shostakovich’s Eighth Symphony from the very rostrum of the Central Committee in 1948. Sorry, Shostakovich was not a saint. Perhaps the passage in Glikman’s volume that will be the least palatable to those who need to see a heroic resister in Shostakovich will be the letter of March 21, 1955, in which he discusses with Glikman the revisions he wished to make to Lady Macbeth before submitting it for rehabilitation (something not achieved until December, 1962). The new version, retitled Katerina Izmailova and so extensively revised as to merit a new opus number, was significantly softened along lines consistent with the harsh criticism that the opera had received in “Muddle Instead of Music.” Some of the most blatant “pornophony” (to use the pretty term coined in 1935 by the reviewer for the New York Sun) was removed from the score, and the text was bowdlerized. The letter leaves no doubt that at least the textual softening was voluntary, motivated by civil consideration, altogether at variance with the composer’s younger self, for the sensibilities of the audience. As for myself, I love his first and fifteenth symphonies. I enjoy his tenth and fifth. I really dislike his seventh and eighth, which probably wouldn’t be that highly regarded were it not for their political programs. Overall, Shostakovich probably would have been a fine composer even if he had never suffered under Stalin. At risk of sounding self-congratulatory, I wish to relate impressions given to me by the poet, Yevgeny Yevtushenko, and my own impressions as a violinist. No doubt, the anxiety of being carted off to Siberia, shot, and dumped in a mass grave could possibly translate into dramatically effective tension in the compositional process. But on the contrary, Shostakovich’s later works exhibit an icy calm. Because of my limited vocabulary, I can only further describe this by confessing that the sensation I have while performing his music is one of hollowness, of profound annihilation. He doesn’t exist in his compositions. I am thinking specifically of the op.134 violin and piano sonata. The tight construction and mental vigor of this work reminds me of the late Beethoven String Quartets, at least as far as craftmanship is concerned. But emotionally, there is no similarity with Beethoven’s spiritual grandeur. From the opening measures, Shostakovich utlises specific minor modes that do not have the leading tone to the tonic, and thus not only do the phrases never resolve, but in actuality they cannot. One has the sense that this is music without hope. Several years ago, I took both a film and poetry class with Yevtushenko. He enjoyed his bragging rights, and spoke often of Babi Yar and Shostakovich. Arguably Shost became a better composer after a taste of Stalin’s wrath, but Stalin was 100 % wrong about Lady Macbeth of Mtsensk the last? ever? great Russian opera. By all means listen to the recording Rostropovich starring his wife Galina Vishnevskaya. They’d just been stripped of Soviet citizenship and are just white hot. In one interview Vishnevskaya said she imagined she was singing to particular party officials, and when she hisses “You’re a rat yourself, I should poison you.” to her father-in-law you _believe_ it. Long live the suppression of creativity through state terror! Who knows what American artists might be capable of if they were only subject to a few threats from the government! Ah, Brian, but Stalin also put Shostakovich on the modernist musical path you found so thoroughly unsatisfactory. Shostakovich started out as a composer of popular music. His first work to gain the public’s attention was “Tahiti Trot,” a dance-band arrangement of Vincent Youmans’s “Tea for Two.” His original “Jazz Suites” are also terrific examples of what Shostakovich could do with a dance band — in their way, they’re much more accomplished, and certainly more personable, than the late symphonies you champion. Of course, once “jazz” music was deemed decadent Western garbage by the Stalinist establishment, Shostakovich had to go on the high-modernist path — until that was ruled decadent, and so forth. So you see, with just enough state repression, a major talent comparable or possibly superior to George Gershwin’s, can end up churning one bleak symphony after another. Oops — forgot about the early symphonies predating “Tahiti Trot.” (Somehow I thought “TT” was from 1924, when it was from 1928.) Still think “Jazz Suite No. 1” is the best thing I’ve heard of his, though. The jazz suites are good, even though they don’t sound like jazz at all. I think his first symphony is very enjoyable and to think he was only 20 when he wrote it! His last symphony is very enjoyable and you may interpret it as ironic but it doesn’t sound depressing to me. sorry but can anybody help me?? ?